I love me my mechanical doohickeys, but this one's no gimmick. 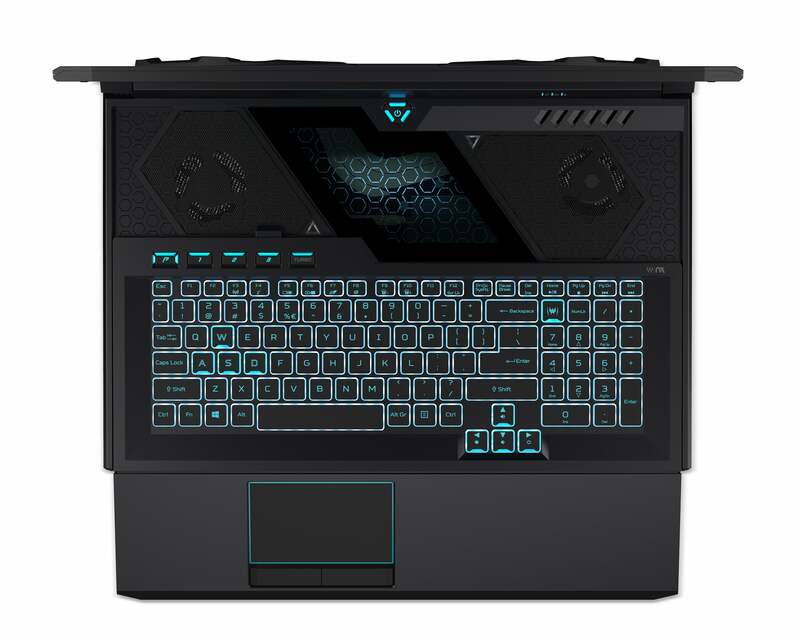 Acer's done it again with the Predator Helios 700. It's added a completely new feature that no one has done before, and that everyone will love because it solves a problem in an elegant and fun way. In other words, I could slide the HyperDrift keyboard back and forth all day, just to watch how it exposes two ventilation grilles for extra air intake. I just love me my mechanical doohickeys. Announced at Acer's next@acer event in New York on Thursday, HyperDrift and the Predator Helios 700 that contains it will ship in April with a starting price of $2,700. Sliding the HyperDrift keyboard forward exposes extra air intake fans and also makes it easier to type. The HyperDrift keyboard is a lot more than a gimmick. Bringing the keyboard forward, and creating a tilted wrist-rest area around the trackpad and mouse buttons, make it more comfortable to type (or mash the WASD keys). It also offers per-key RGB lighting and anti-ghosting. The keyboard isn't mechanical, but Acer tried to give a bit of that feel with special MagForce WASD keys. These keys provide a linear-like 0-to-100-actuation sensitivity. You can also swap them out for regular keys. 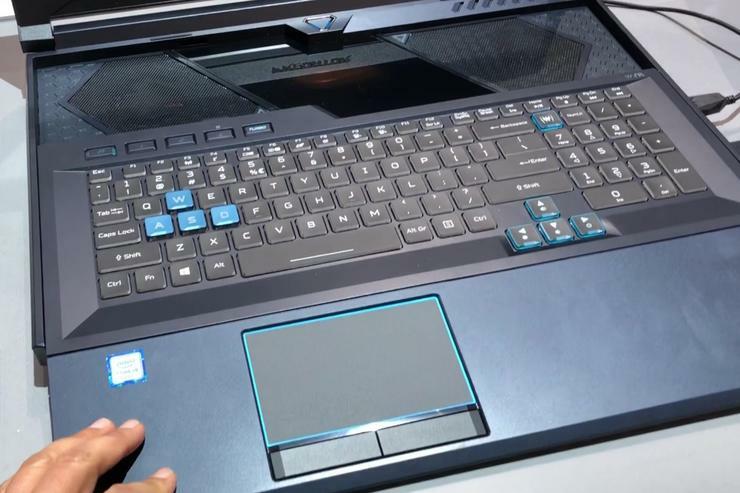 The HyperDrift keyboard is one part of the Predator Helios 700's cooling system. The system also employs a vapor chamber, five copper heat pipes, and two of Acer's 4th-gen AeroBlade metal fans. The Acer CoolBoost utility lets you adjust fan rpm's manually, another bit of fun for tinkerers. The Predator Helios 700 will offer a 9th-gen Core i9 processor with up to 64GB of DDR4 RAM (4 x soDIMM). An Nvidia GeForce RTX 2080 or 2070 GPU will power the 17.3-inch FHD (1920x1080) IPS display, which offers a maximum brightness of 300 nits and 144Hz refresh support. Various HDD and SSD storage options will be available. We haven't had a chance yet to test the new Predator Helios 700. 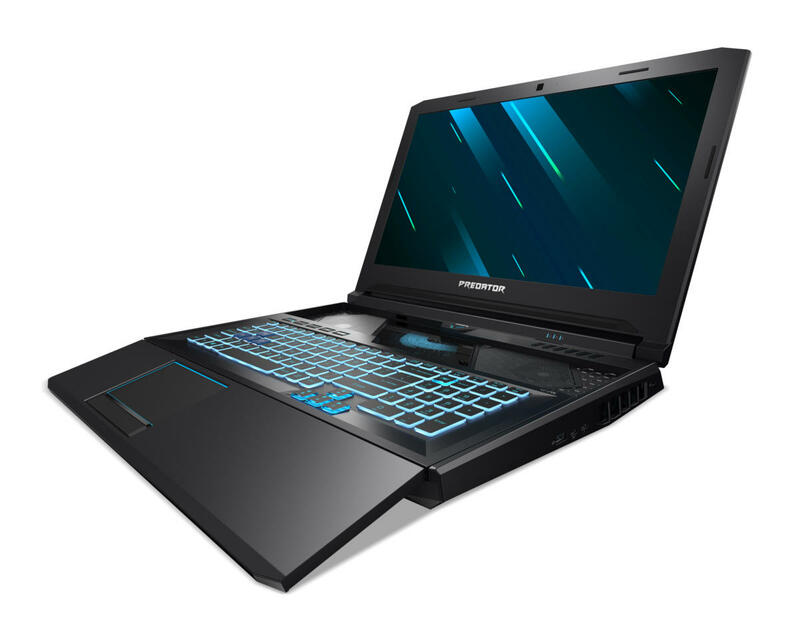 It has stiff competition,including MSI's GS75 17-inch laptop, also with RTX graphics. Given that the Acer model debuts for a few hundred dollars cheaper, with that snazzy keyboard as well, it'll be interesting to see whether it nudges the MSI off the top position.